Adagio.FM - Dmitri Shostakovich - Symphony no. 1 / Symphony no. 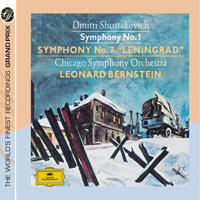 7 "Leningrad"
Album Symphony no. 1 / Symphony no. 7 "Leningrad"